Intracytoplasmic morphologically-selected sperm injection (IMSI) is an infertility technique used in IVF treatments and was developed by Benjamin Baartovin 2004 and is considered to be a highly advanced version of ICSI. IMSI primarily involves the selection of those sperms with a shape and size that indicate good genetic quality and are healthy looking,from a sample provided by the male partner. This is then injected directly into the eggs retrieved from the female partner, which in turn increases the probability of the sperm cells fertilizing the eggs. During IMSI, the embryologist carrying out the procedure uses an extremely high-powered microscope to select the sperm cells with the best morphological quality to be injected into the eggs. The major win incase of IMSI technique is that the sperm is magnified 7000 times when compared to the ICSI technique in which the sperm is magnified only 200 times. At such high magnification, the sperm with morphological defects namely the subtle intra-nuclear sperm defects and the chromatin compaction defects can be easily detected and sorted. Hence only the morphologically normal and healthy looking sperm under this magnification is used for ICSI by our embryologist. 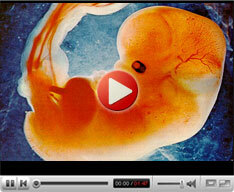 This translatesinto higher fertilization rates, higher implantation rates and higher rates of successful pregnancy. It also reduces early abortion rates by 40% thereby improving ultimate outcome of the test tube baby technique. Thanks to the microscope of such high resolution, biologists can now view the internal morphology of the sperm and discard those with any abnormalities. The ability to select sperms without morphological alterations is believed to increase the chances of successful implantation of pre-embryo and in turnreduce the chances of miscarriage. By looking at sperms using much higher magnifications, it isnow become possible to detect structures within the sperm head called vacuoles, which are not visible under a normal microscope. The presence of these vacuoles relates to an increased incidence of poor DNA arrangement within the sperm. 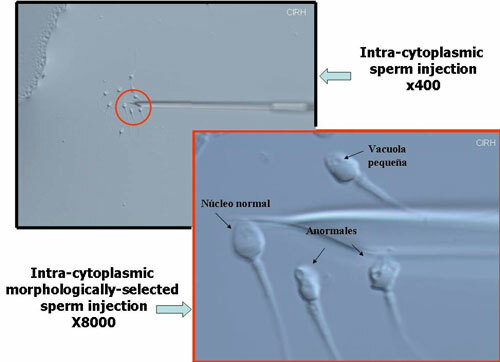 Selecting sperm using IMSI technique can help to minimize the probability of injecting a sperm with damaged DNA into the egg. There are two types of IMSI - Real time and software enhanced imaging system. Real time IMSI is superior to software enhanced system. At ARMC, we have installed the first real time IMSI in Kerala. This has become extremely useful for couples with severe male factor infertility and previous ICSI failures. Moreover we do offer this additional facility at NO EXTRA COST for the couples undergoing this treatment.